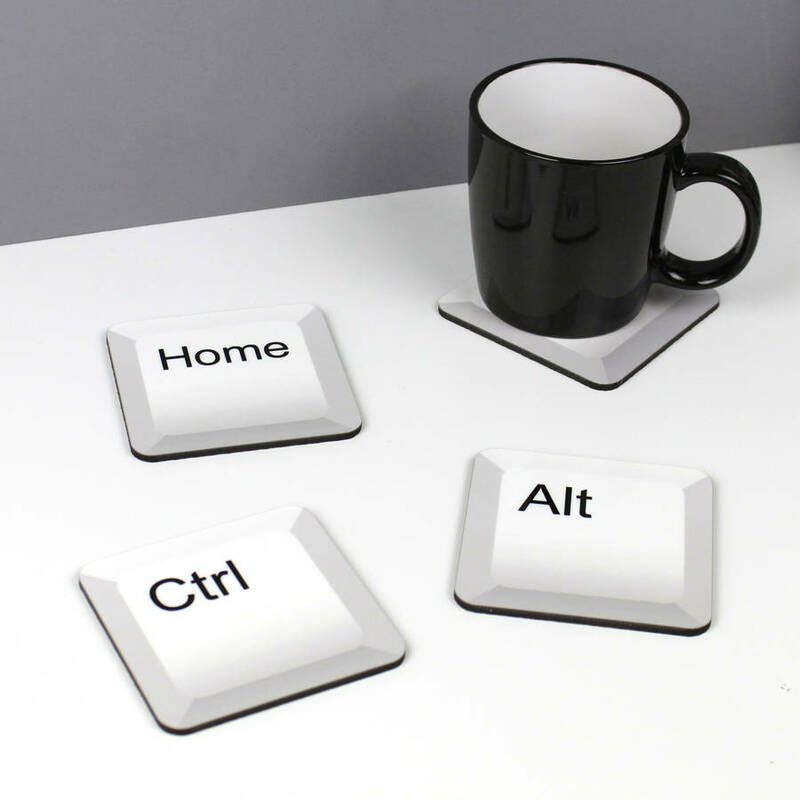 A geeky computer key coaster perfect for any geek! The coaster is made to resemble a computer key and you can select from any letter of the alphabet or one of the computer command buttons. Use each coaster to spell out a word such as "BREW" or "HOME". Or why not select your initials, for example "S" and "M" and pick a third coaster with "HOME" written on it. A perfect gift for a newly married couple. Some examples we have seen include using 5 coasters to make the name "SMITH" and another simply selecting 5 computer commands (HOME, DELETE, ESC, INSERT and END). The coasters really do stand out and are always a talking point. A must for any geek household. 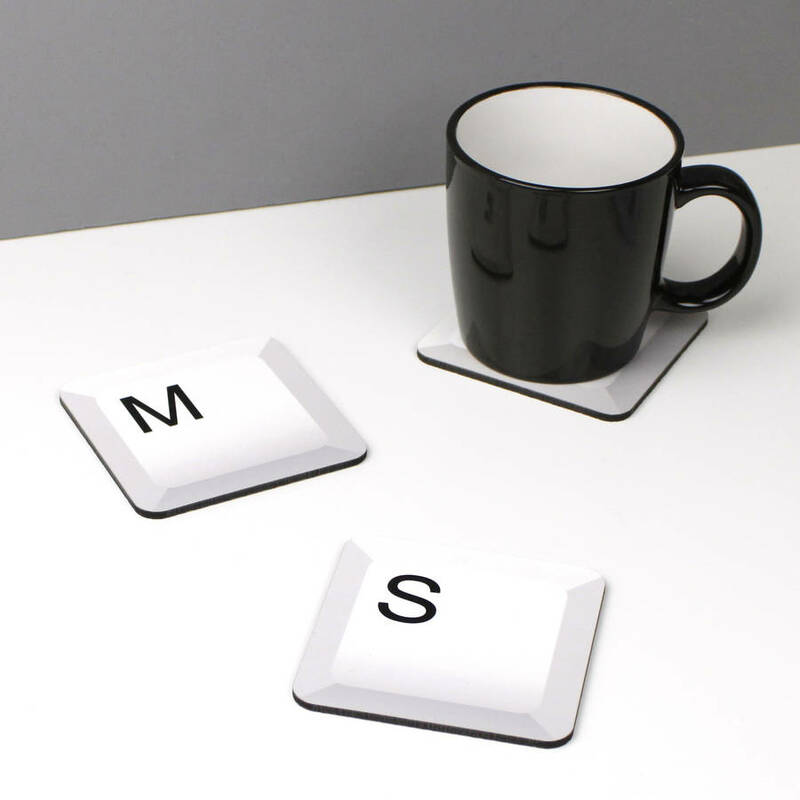 These geeky coasters would work well in any office too. Pop a pack in the meeting room or waiting area! Hard wearing coasters with a cork underside. Each coaster comes in a cellophane wrapper.